The Airports Authority of India or AAI is a statutory body working under the Ministry of Civil Aviation is responsible for creating, upgrading, maintaining and managing civil aviation infrastructure in India. Applicants who have completed B.E/B.Tech or equivalent from a recognized Institute for AAI Recruitment 2019. 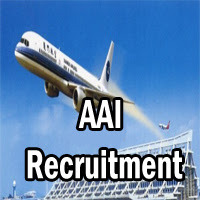 Eligible & Interested candidates can Apply Via Online In Official website page at www.aai.aero Recruitment 2019.